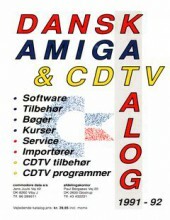 Again thanks to Thomas Rønne Viborg another Amiga price catalog is online. This entry was posted in Amiga Commercials by Carsten Jensen. Bookmark the permalink.